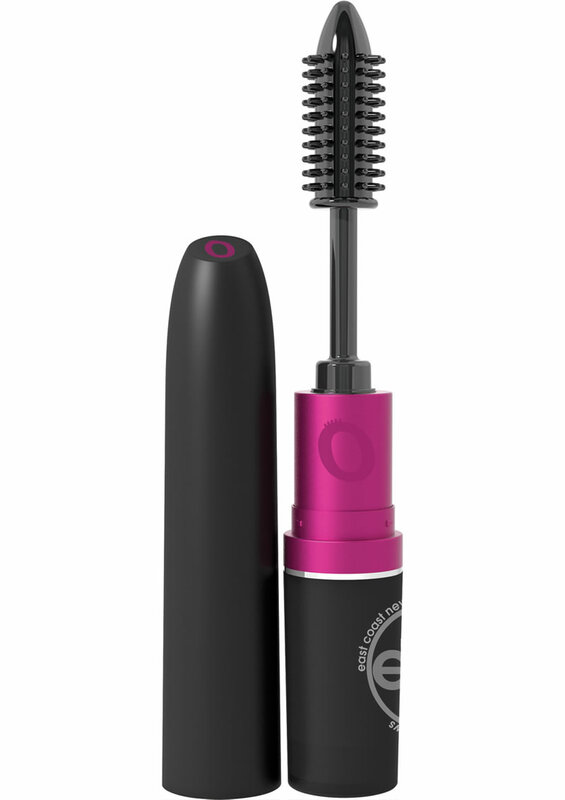 My Secret Screaming O Vibrating Mascara is a super-powered, discreet mini vibe that looks just like mascara! With an ultra-soft Tingle Tip, this massager magnifies vibration for targeted stimulation with a whisper-quiet motor that buzzes at 3 strong speeds with a bonus pulsating “tease” mode. Travel-friendly, compact and portable, this Mascara Vibe will give you a fresh-faced look that could only come from The Screaming O. Keeping a secret never felt so good! Surprise! Are you looking to add to your sexual pleasure journey…My Secret Screaming O Mascara! With an ultra-soft Tingle Tip, this massager magnifies vibration for targeted stimulation with a whisper-quiet motor that buzzes at 3 strong speeds with a bonus pulsating “tease” mode; targeted stimulation right where it counts. It has a whisper-quiet motor that buzzes at 3 strong speeds, with a bonus pulsating “tease” mode. It’s Travel-friendly, compact and portable, and this Lipstick Vibe will give you a fresh-faced look that could only come from The Screaming O. Keeping a secret never felt so good!